Dolly's recent appearance at Rotary International convention in Montreal! Country music legend Dolly Parton and Boys Scouts of America Chief Scout Executive Bob Mazzuca inspired Rotarians at the fourth plenary session on June 23rd to keep serving their communities and underscored the common bond their organizations share with Rotary, in philosophy and in practice. After greeting the audience by singing her hit song "9 to 5," Parton recited The Four-Way Test, saying she also sought a "short, simple, and powerful" statement to guide the Dollywood Foundation: "Dream more, learn more, care more, be more!" The philanthropist and literacy advocate went on to explain her foundation’s Imagination Library , which promotes reading among preschool children by providing them with a free book each month from birth until age five. The program, which has received support from more than 115 Rotary clubs, has grown from its base in Parton’s home state of Tennessee, USA, to other communities in the United States, Canada, and the United Kingdom. Parton said she was inspired by her father, who was illiterate but "one of the smartest people" she knew. "He knew it was a crippling thing not to be able to read and to write, so he was proud when people would call me the 'book lady.' And he lived long enough to see my dream come true with the Imagination Library. He was with me all the way." Rotary Foundation Trustee Vice Chair John F. Germ, also from Tennessee, joined Parton on stage to present her with Paul Harris Fellow Recognition. "This is a wonderful friendship, us working together, and I hope to continue doing my part," Parton said. "Thank you for accepting me and believing in the program." The Governor of Tennessee announces a milestone! Tennessee Governor, Phil Bredesen, has a special message about The Governor's Books From Birth Foundation in partnership with Dolly Parton's Imagination Library. "Dream More! Learn More! Care More! Be More!" New program launches in New York and West Virginia! 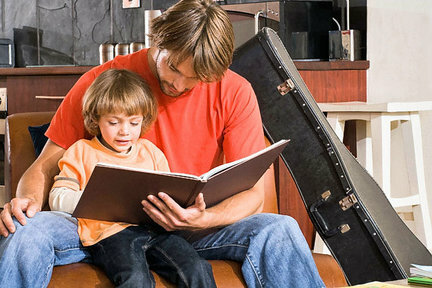 Syracuse, New York, has been a beacon for literacy education. The North and the West Side Literacy Zones are among 18 zones in the state that were selected for a special focus on meeting community literacy needs. There is a new concentrated and collaborative project that focuses on the children who reach school age not ready to read, and the Literacy Coalition of Onondaga County already has plans to expand. Tracking the effectiveness of the coalition’s efforts to achieve “100 percent literacy through 100 percent community engagement” is the ultimate goal. Dolly Parton's Imagination Library aims is to register up to 500 children a year over the next four years. In addition to the new program launch in Syracuse, Dolly Parton's Imagination Library is also sponsored in Harrison County, West Virginia. The Dollywood Foundation is quickly branching out so that all children have such a significant opportunity to experience the excitement of receiving a shiny, new book each month. Now, Harrison County children will also be a part of the hundreds of communities that are providing books to hundreds of thousands of children nationwide. Now the singer-songwriter, actress and philanthropist wants to pass on that feeling to Syracuse’s neediest children through her Imagination Library. In a new venture sponsored by the Literacy Coalition of Onondaga County, the Dolly Parton Imagination Library aims to mail one children’s book a month to every household with a child under 5 in two of Syracuse’s most distressed ZIP codes. Already “The Little Engine that Could” is going out to 127 children who signed up during Saturday’s kick-off event at White Branch Library. Dolly's press conference RESTORE THE DREAM! Introduced by David Dotson, President of Dolly's Imagination Library, and welcomed by members of the press, Dolly spoke about the campaign specifically created to assist nonprofit organizations throughout the surrounding counties in Middle Tennessee recover and resume operations in the event of a natural or man-made disaster. Joining Dolly Parton to present the funds are Mayor Karl Dean and representatives of the United Way of Metropolitan Nashville. The Restore the Dream Fund will specifically work with Family Resource Centers to meet the needs of those hardest hit from the flooding in early May. Funds raised by Dolly, Dollywood, Dixie Stampede and S.D. Professionals' online campaign, specifically earmarked by Parton to help devastated families restore and renovate. Dolly Parton presented $250,000, in Nashville to Mayor Karl Dean and United Way representatives, with the money specifically designated by Parton to aid Nashville-area flood victims who are restoring and rebuilding in the flood’s aftermath. After much consideration, Parton decided to donate the funds raised during her Dolly Helps Nashville event on May 22 and 23 to the United Way’s Restore the Dream Fund. 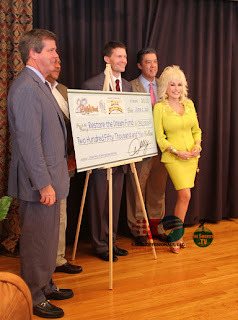 The donation includes net admission proceeds from Parton’s Dollywood and Dixie Stampede properties in Pigeon Forge, Tenn., as well as fan contributions to DollyParton.com. The United Way’s Restore the Dream Fund was established to assist nonprofit organizations throughout Middle Tennessee recover and resume operations in the event of a natural or man-made disaster. The fund is managed and administered by United Way of Metropolitan Nashville. The Restore the Dream Fund will specifically work with Family Resource Centers to meet the needs of those hardest hit. In addition, none of Parton’s contribution will be used to cover the agency’s administrative fees. Parton also challenged area East Tennessee businesses to join the effort which was met by S.D. Professionals, the company that designed DollyParton.com and facilitated online donations.